Judy I. Eidelson, Ph.D., is a licensed psychologist and certified cognitive-behavioral therapist. 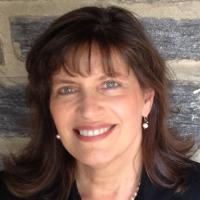 Dr. Eidelson is a graduate of Princeton University and received her Ph.D. in Clinical Psychology at Duke University. She completed her internship in adult and adolescent clinical psychology at Friends Hospital and was a post-doctoral fellow at the Center for Cognitive Therapy of the University of Pennsylvania. Dr. Eidelson is the former clinical director of Presbyterian Medical CenterÕs Institute for Cognitive and Behavioral Therapies and a Founding Fellow of the Academy of Cognitive Therapy. Dr. Eidelson draws from a variety of therapeutic modalities to find the most effective approach for each individual. She works primarily with older adolescents and adults, some of whom are addressing specific problem areas, such as anxiety or depression or relationship difficulties, and some of whom are seeking personal growth. In addition to her private practice, Dr. Eidelson documents psychological effects of persecution for individuals seeking political asylum in the United States. She conducts evaluations and testifies in immigration court as an expert witness for individuals referred by the Liberty Center for Survivors of Torture, Physicians for Human Rights, HIAS-Council Migration Services and Nationalities Service Center. Dr. Eidelson trains and supervises graduate students and other psychologists to evaluate torture and other forms of traumatic stress, through her involvement with local immigration agencies and through Psychologists for Social Responsibility. Click here to view Dr. Eidelson’s CV.